Charlotte Sumtimes talks, walks and acts like it’s the 1920s. She’s a middle-aged drag queen running St. Louis’ underground jazz scene, rubbing elbows with bootleggers and staying clear of the Klan. She drinks bathtub gin, she curses, she fights, she meanders on cobblestone streets past breweries and brothels. In reality, Charlotte shares a body with someone in 2018: She is the stage persona of a very real stay-at-home mom named Jade Mason. By day, Mason is a successful 47-year-old voice actress and mother of three living near the riverfront. 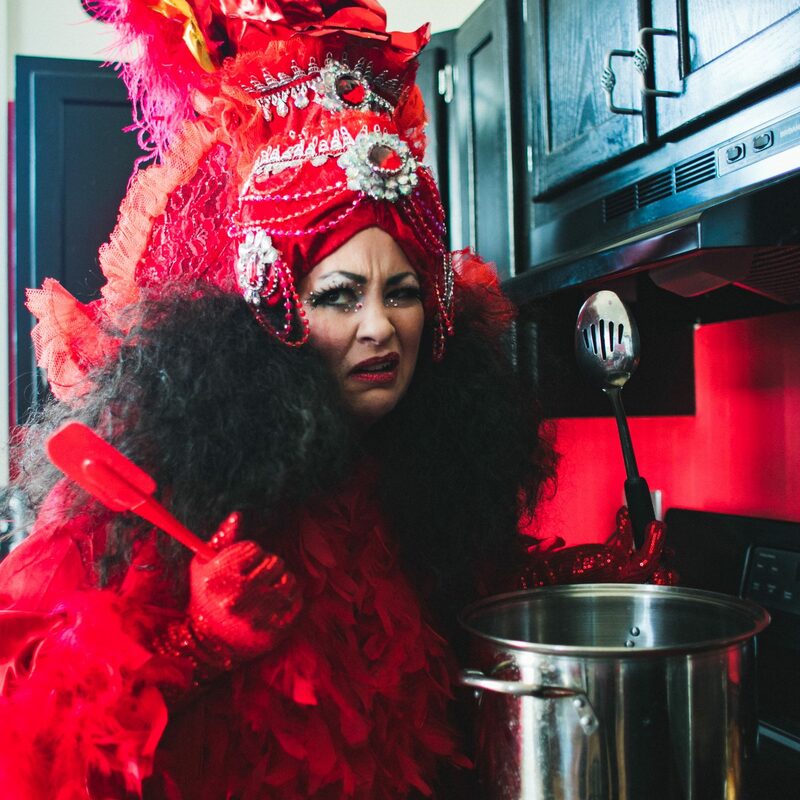 By night, she often performs as a “bio-queen”: a drag queen trapped inside a woman’s body. 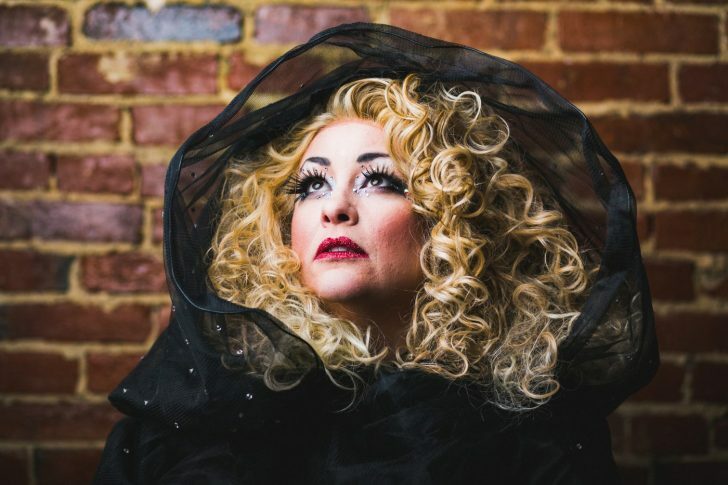 While bio-queens have been around for at least two decades — media references first popped up around 1997 — the gender-bending art of women dressing up as men who dress up as women has never made much headway in St. Louis. 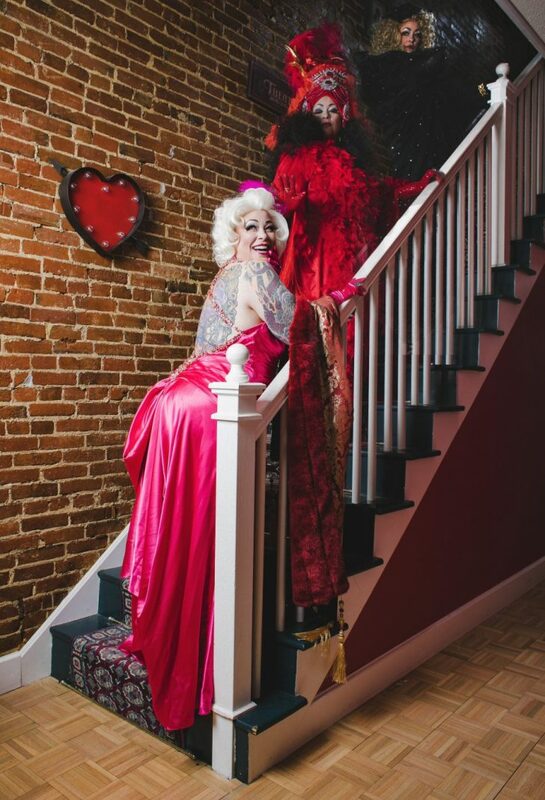 Mason is one of a very few locals to blend bio-queenery with the art of burlesque. Just as her performance varies, the costumes change, too. At a recent show, she adopted a goth look with a top hat and dramatic faux fur; in another, she donned a custom-tailored showgirl ensemble from Vegas. There’s only one constant: rhinestones at the corner of each eye. Mason’s off-stage personality is self-conscious. She longs for acceptance and understanding. But when she enters the spotlight as Charlotte, she is quick-witted, loud, sultry and in control. She doesn’t care if you like her. This brashness has not been without controversy in Mason’s personal life. Without going too far into specifics, she says it has damaged certain relationships and led to bouts of depression and reclusiveness. There was so much drama last autumn that Mason had to put Charlotte on the shelf for a bit, take a breather and attempt to figure out if they could co-exist. As of late, she has decided that they can. Charlotte is welcome to come and go as she pleases as a creative force. For example, Charlotte will craft a post on social media and get bored halfway through, so Mason must edit and complete it. 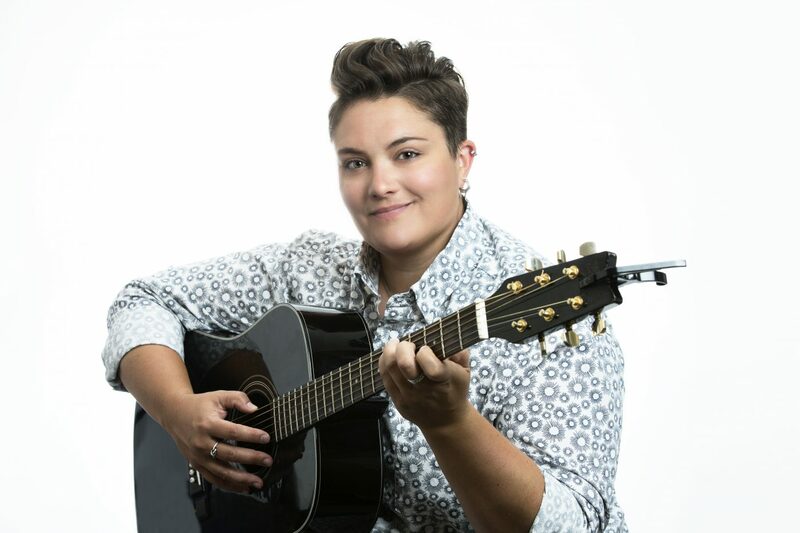 Charlotte is also back on the performance circuit, with a frequency that’s manageable for Mason.